Ridley Scott’s Prometheus always felt disjointed, like it was trying to serve too many masters—it had to be an Alien prequel, a summer blockbuster, a heady sci-fi question of humanity’s origins, and do it all in the shadow of what Scott and others have already accomplished in the Alien universe. As such there were plenty of ridiculous moments scattered throughout that seemed to occur simply because the plot dictated it, but there was also enough raw material of good scenes and interesting ideas that could be salvaged by an enterprising soul. Such a visionary has arisen on Vimeo, and his name is Job Willins. Willins has recut Prometheus and Alien into one two-and-a-half-hour long film with dual narratives that switches back and forth between the crew of Prometheus and the crew of Alien’s ship, the Nostromo. Derelict is an editing project for academic purposes. Prometheus wasn’t exactly an Alien prequel, but this treats it as such by intercutting the events of Alien with Prometheus in a dual narrative structure. 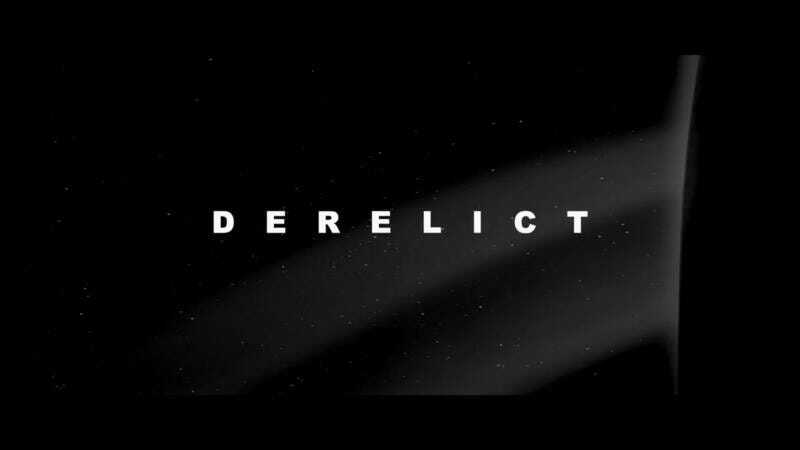 Derelict is also in black & white to better marry the visual quality of the two originals (and also because both films look great in black & white). Roughly 30 minutes has been cut from Prometheus and about an hour of Alien has been used in its place. Some content from the deleted scenes of Prometheus was also used. It still doesn’t completely salvage Prometheus and there are certainly some transitions that aren’t as seamless as you’d hope, but it is a very interesting project that deserves to be watched and appreciated for what Willins has accomplished.